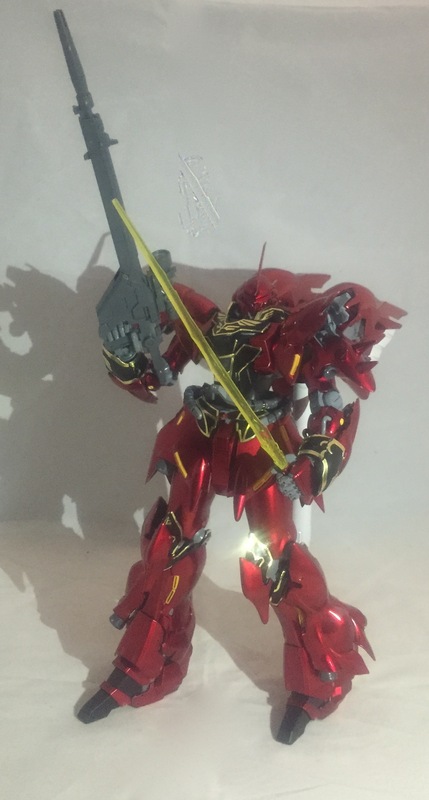 Of all of the Gundams we have reviewed, the Sinanju is the most impressive. In several ways. 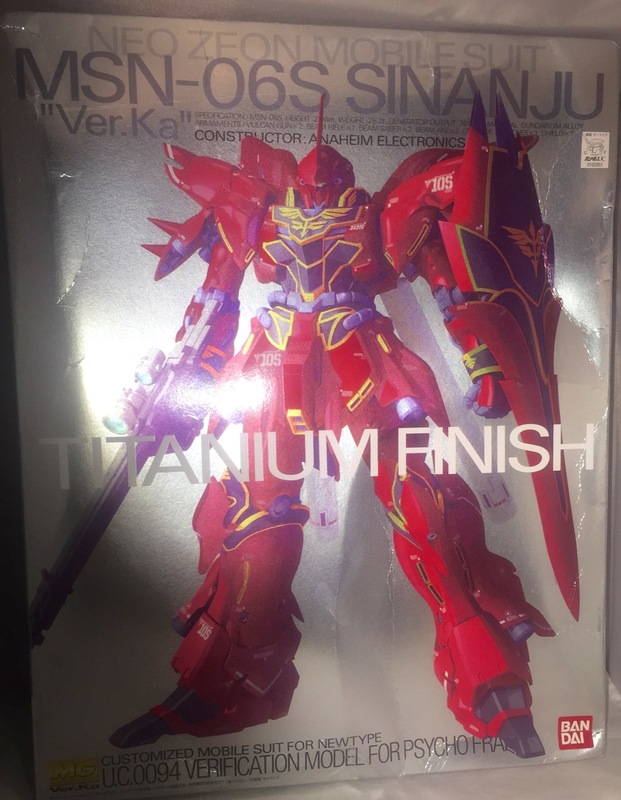 This Gundam has a “titanium finish,” basically vac-metal plastic. It makes it shine! 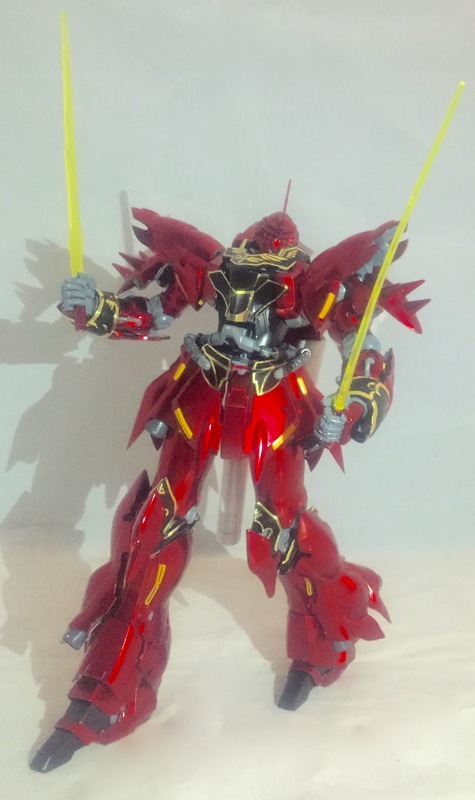 Combine this effect with the size of the figure at Master Grade 1/100 scale and the many accessories and even an additional stand, and you have an incredible item. Above is the box. And longtime readers know that the SpartanNerd really likes his foil! This item cost $140, and we purchased the stand for an additional $20. 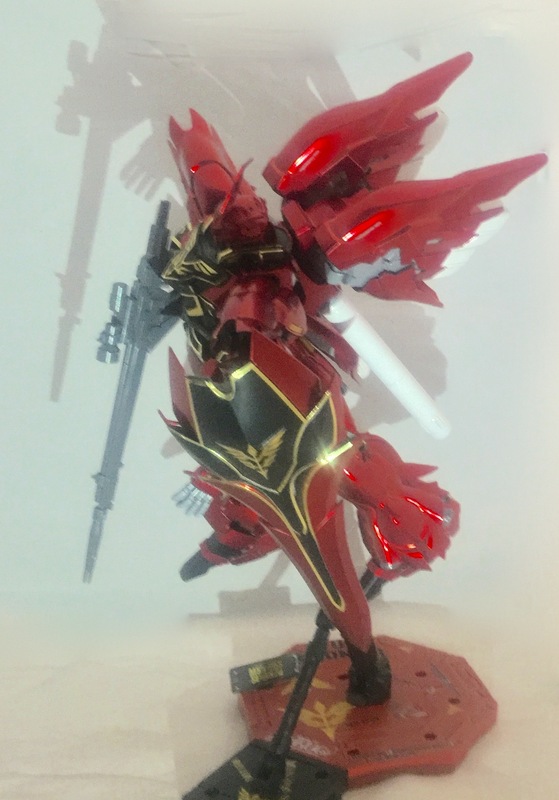 (The stand is usable with most if not all Gundams, but is detailed specifically for Sinanju Ver-Ka.) This is a special edition, with the vac-metal. 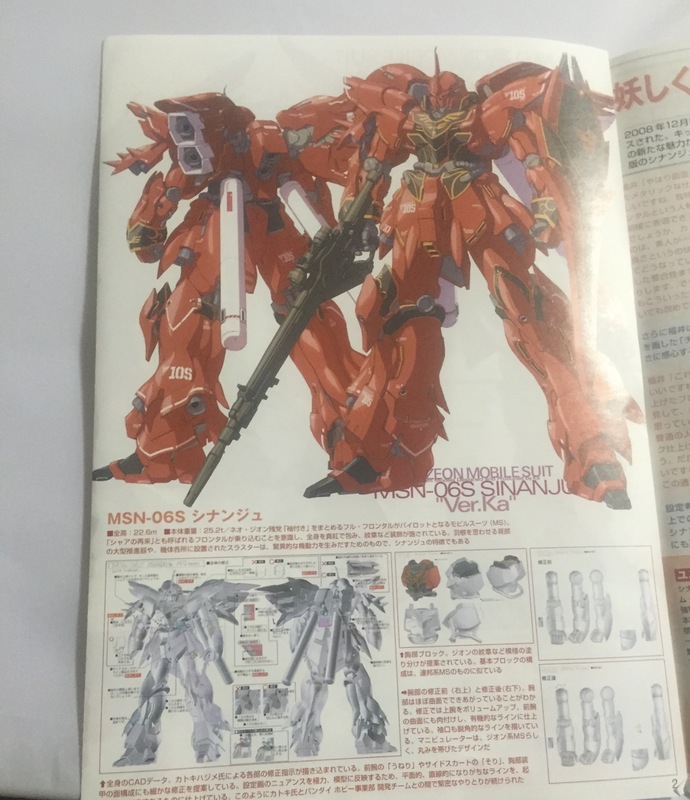 The normal Ver-Ka would cost around $80. The box is almost entirely in Japanese. As well as the instructions. This is commonplace for basically every Gundam we have built. Above is the instructions for the decals and stickers. The SpartanTeen used the regular sticker decals, rather than the water-slide decals. 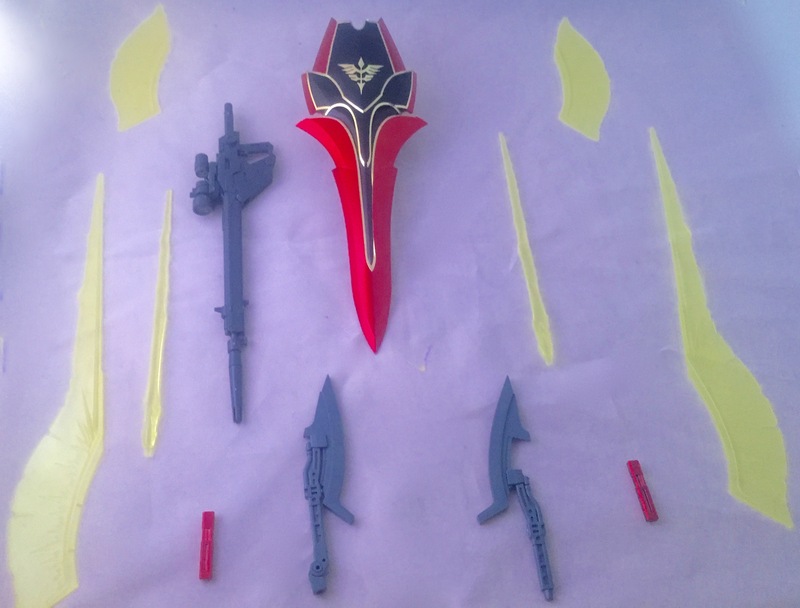 I am going to show the Gundam in pieces, sort of. There is so much here I had to “cull down” the amount of photos. The head really shows the small details. 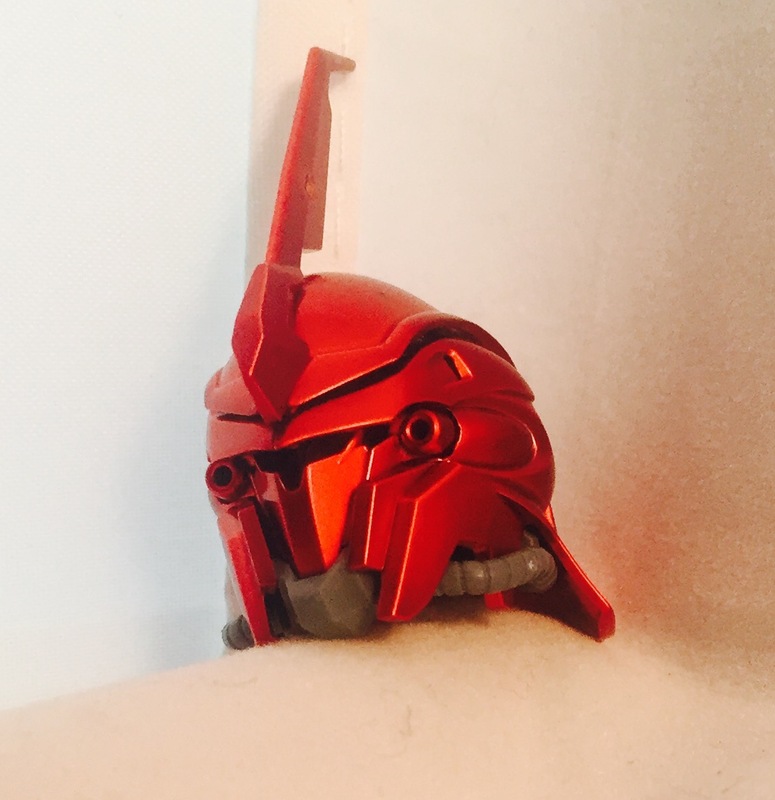 The two “holes” on the side of the mask are meant to be vulcan cannons! You can see the vac-metal and the plain gray plastic. The crimson color goes well with the flat gray. There is an eye detail that can’t really be seen because of the size and impressiveness of the rest of the head. Here is the backpack, showing all of its details in 3X faster mode. 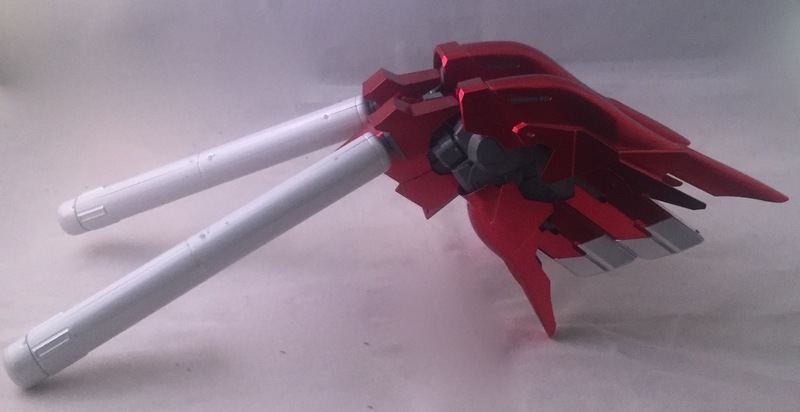 (The legs also have details for “3x faster mode.”) The backpack was the only truly “stupid problem.” The backpack WOULD NOT attach to the figure as it was supposed to. It works by a little slot mechanism that seemed to be obstructed by excessive plastic. We solved the problem with some super-glue. 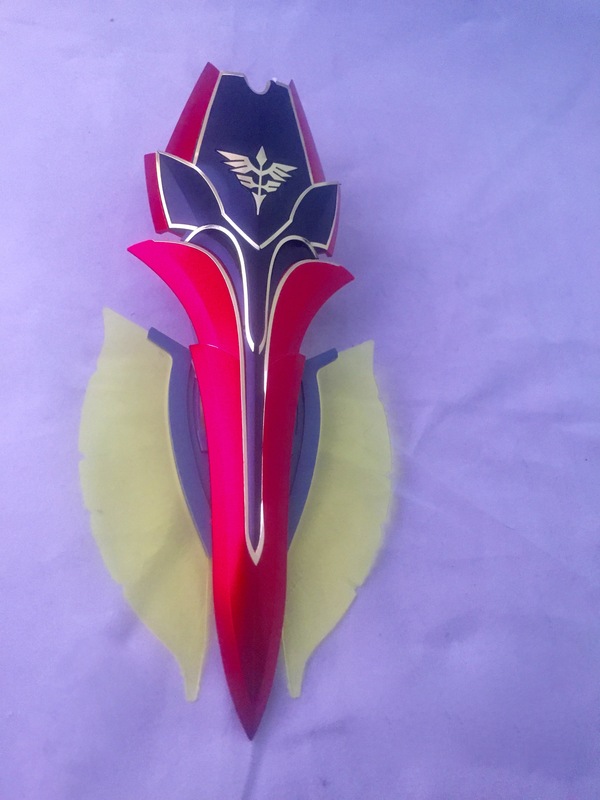 We checked other reviews of the figure, and found that ours seems to be an exception rather than the rule. 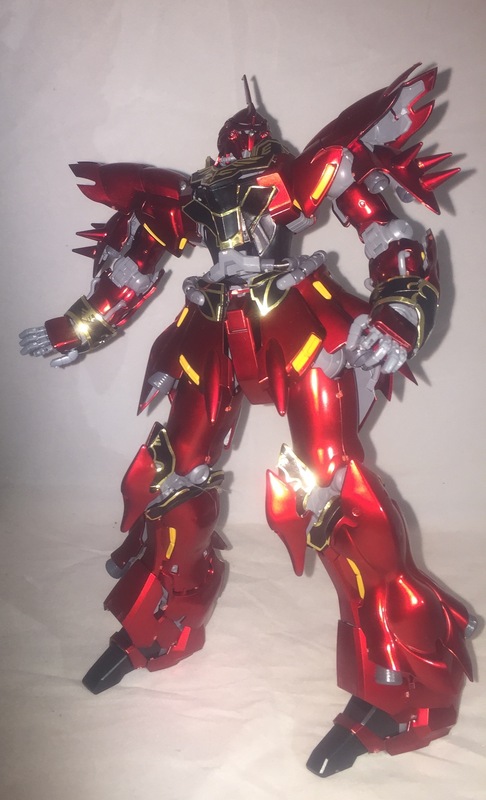 Here the Sinanju stands, unarmed, and without his backpack. It is very articulated. The fingers all move like human fingers. The arms move like a humans, the legs move like a humans. 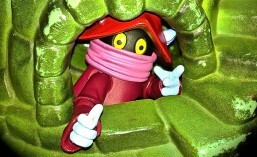 It is a “super-articulated” design. 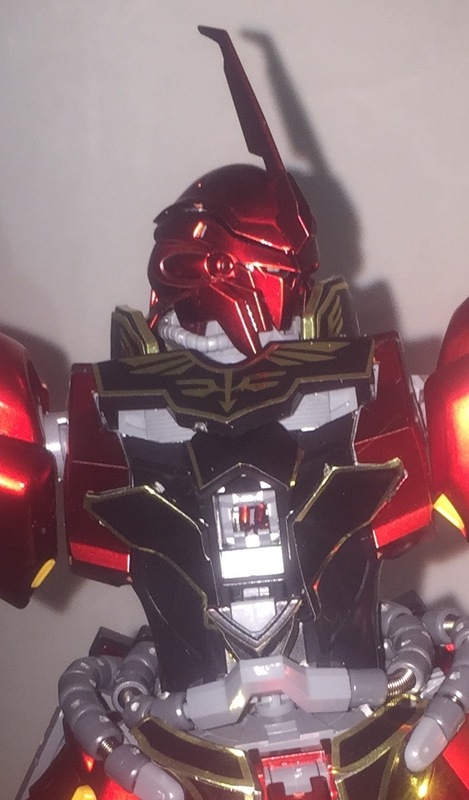 The shoulder armor and knee armor move to accommodate the most articulation. 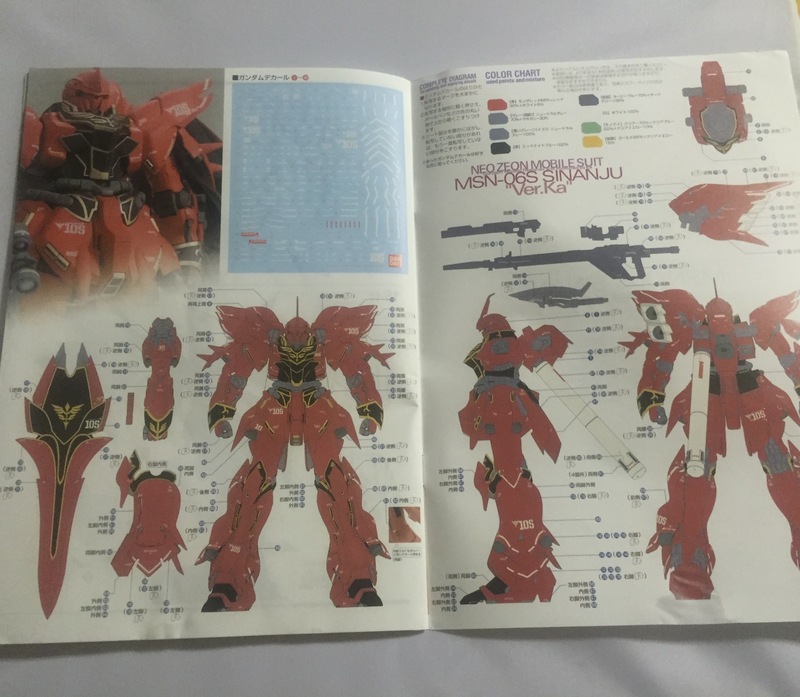 The stickers are very much a foil item, and the Gundam doesn’t look right without those details. All of the gold pictured here is a reflection of the flash of my camera! That is how shiny it is! The feet are on a rocker joint, and divided into toe and heel sections. 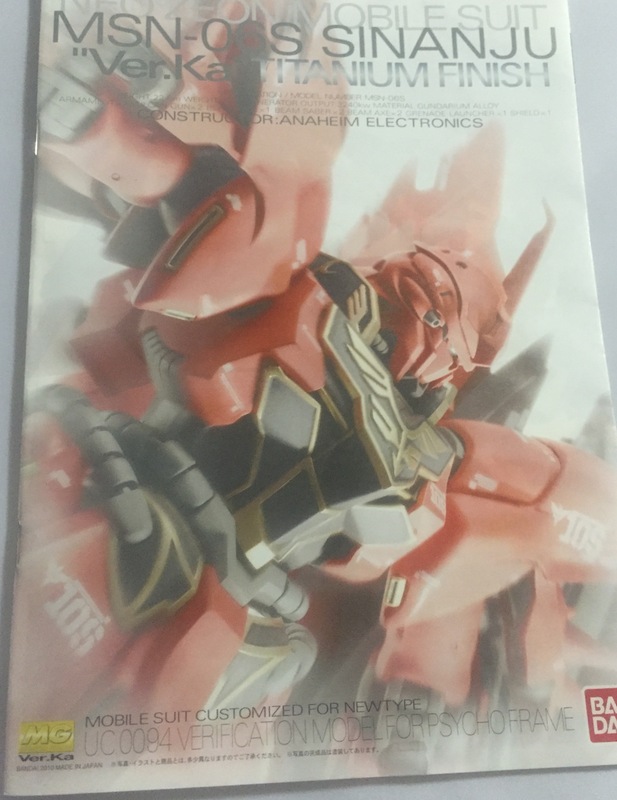 The cockpit opens, revealing Char Aznable inside. The cockpit is surrounded by yellow “psycho-frame” components. The Gundam came with two different pilots. One to stand beside on display, and one to stay in the cockpit. 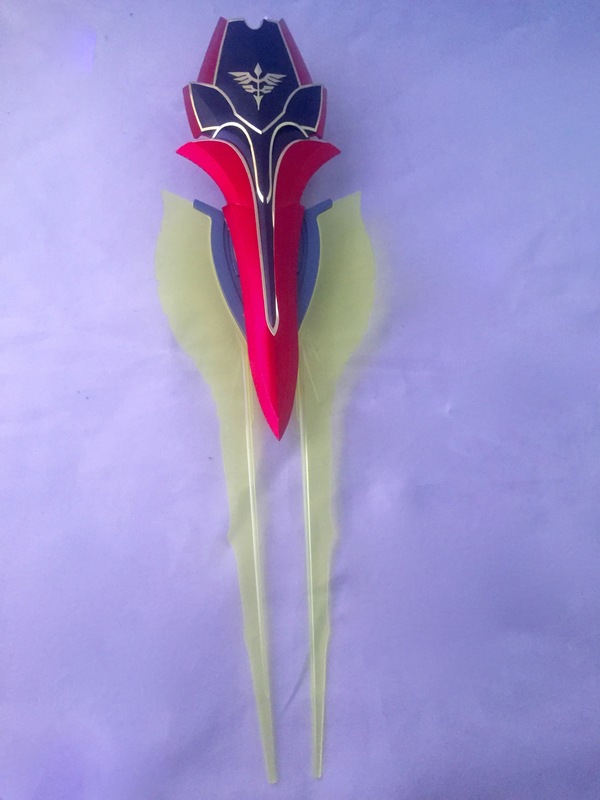 The SpartanTeen (nor the SpartanNerd) can paint the tiny details required….We would if we could. But that is a little out of our skill level at this point. Here are most of the accessories. I say most, because, the Grenade Launcher/Shotgun wasn’t ready at the time of the review. Notice the “beam-effect” parts. 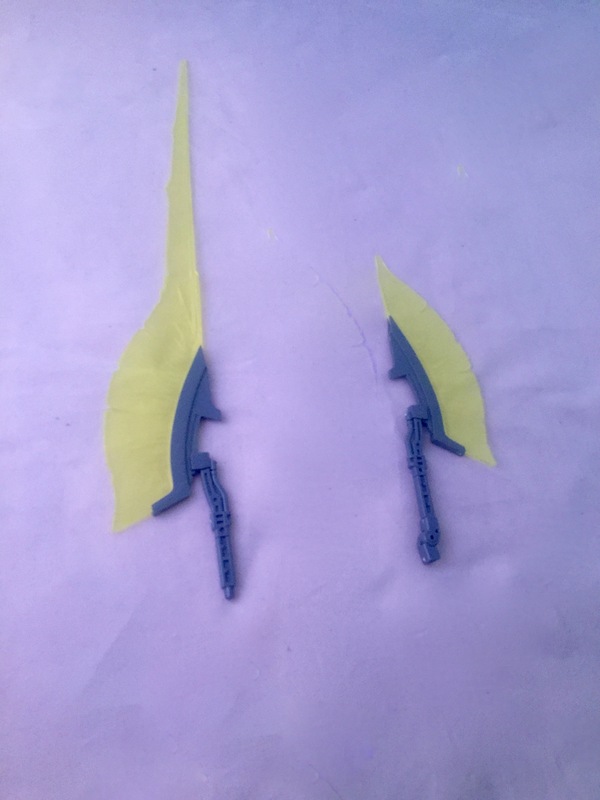 These are interchangeable with the axe, and with the shield. 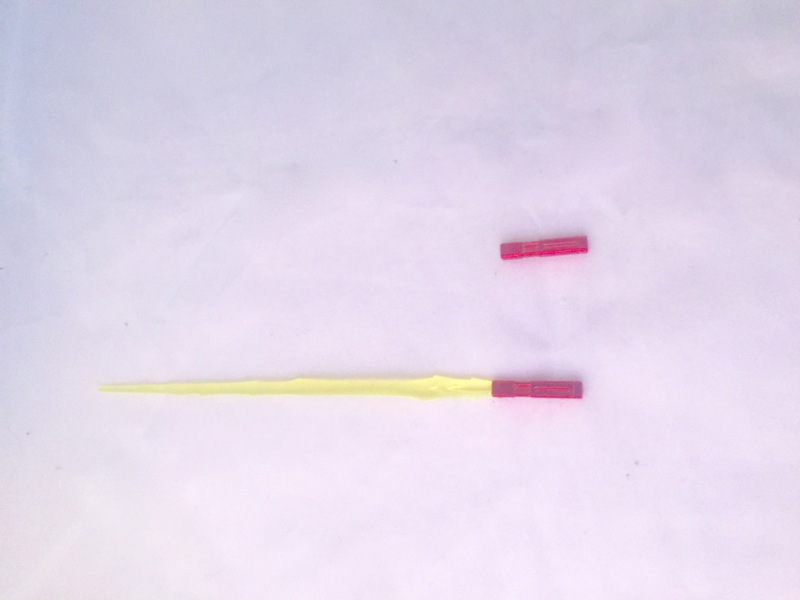 The beam saber isn’t a lightsaber at all. 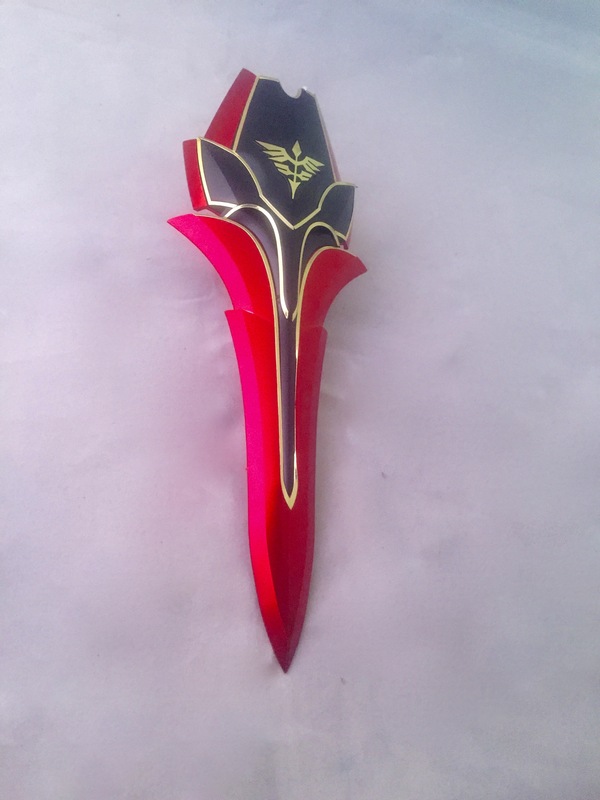 The beam effect is detailed and rippled, rather than being a straight lazer sword. 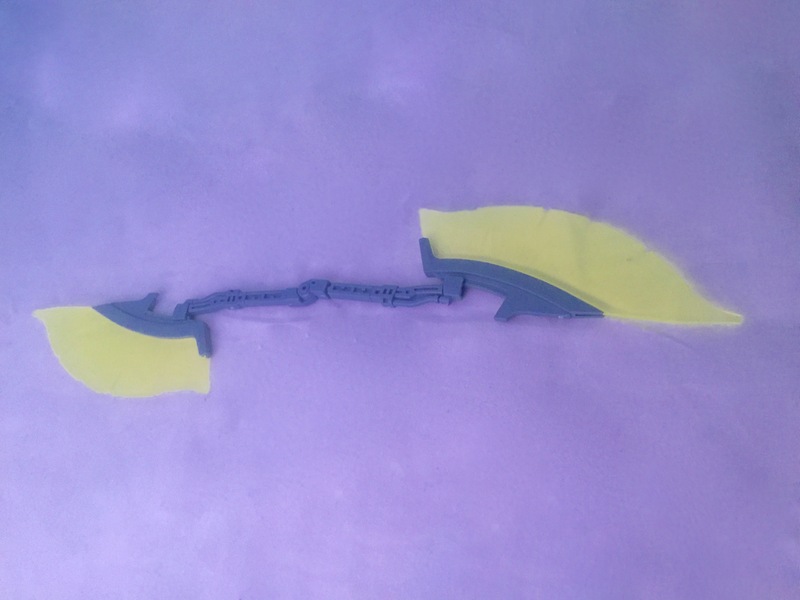 It did come with two beam effects, we just wanted the readers to see the hilt disarmed as well as armed. 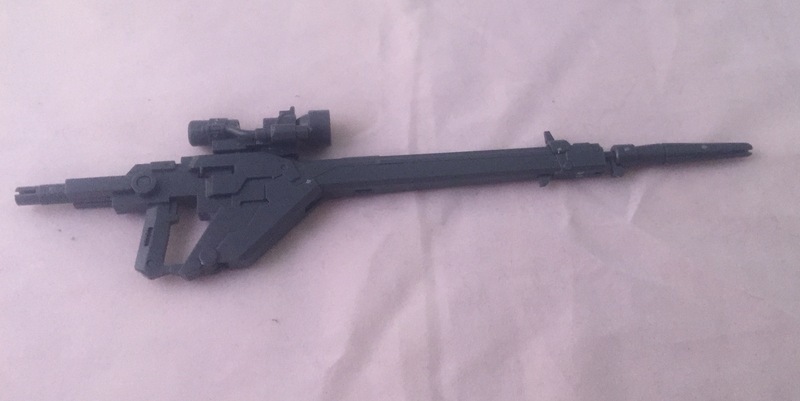 The gun has expandable options as well. The scope can move, and you can add parts from the shotgun/grenade launcher. (Not pictured.) Notable, the shield has a place to store the shotgun/grenade launcher. 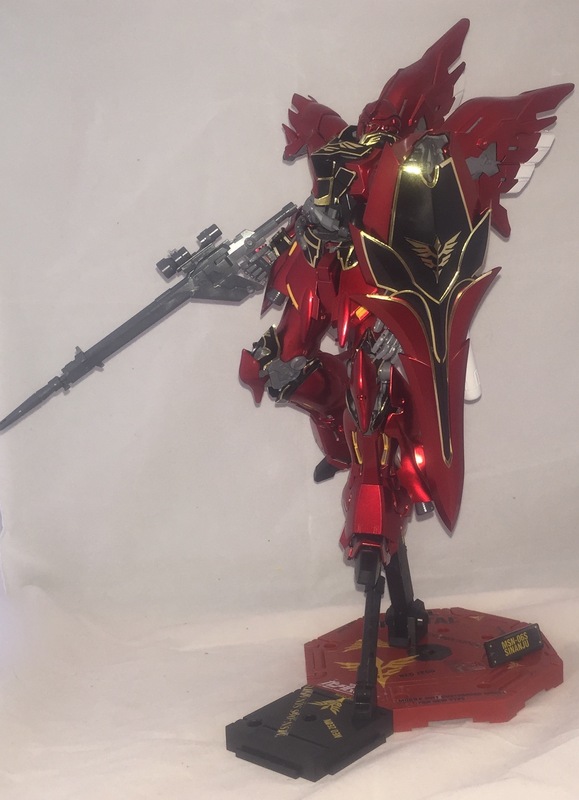 Here is the Sinanju holding the shield an on his custom stand. The stand is a separate item, and will be reviewed later. But the stand is the perfect way to display this incredible investment. As we have done in the past, we are now going to give this Gundam a grade! Here is our criteria, each item getting a score. We would like to say ahead of time, this Gundam is almost perfect! 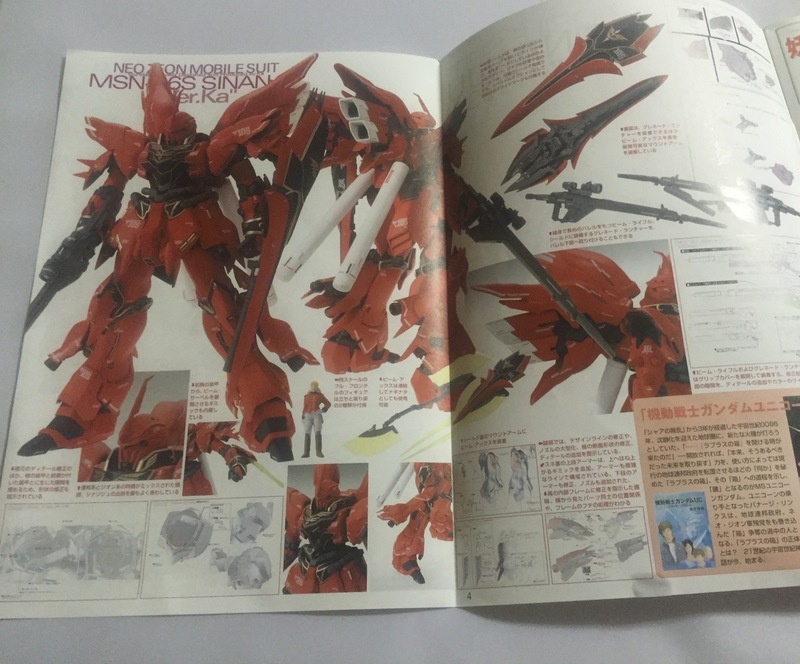 The SpartanTeen and SpartanNerd Gundam Evaluation Checklist says that the Sinanju receives a 4.92. So far the only Gundam coming in higher is Char’s Zaku II-S (2.0), which had a score of 5.2. What do you think? Leave us some feedback in the comments!